In Republic of Taste: Art, Politics, and Everyday Life in Early America, historian Catherine E. Kelly explores the pursuit and display of “aesthetic sensibilities” by citizens of the young United States who, through such affirmations of taste, sought connection with “like-minded individuals” in hopes of advancing “the public good” (2–3). Kelly further posits that these “republican citizens” imagined the nation as “a kind of gallery” in which public performance and recognition of aesthetic abilities could make evident “their sensibility, their taste, their virtue” (3). Within the crowded interdisciplinary field of early American studies, Kelly seeks to carve out a fresh argument concerning national identity and material culture by focusing on how the spread of these aesthetic priorities and political ideas circulated beyond intellectual and political spheres. In an American version of the republic of taste that evolved from its eighteenth-century British origins, Kelly asserts that men and women alike sought “cultural capital and personal pleasure” as well as affirmation of their “potential for republican citizenship” (5). Even as she sets up this tidy narrative of republican aspiration, Kelly also recognizes messy realities of the period, through which such ideals could be used to mask Anglophilia or defy republican values by other means. Republic of Taste is ambitious in its breadth of objects and recovery of diverse historical personae. While well-known figures appear throughout the pages of the book, its greatest contribution lies in Kelly’s discussion of a diverse chorus of new historical voices, consisting of little-known artists, objects, and thinkers in the early United States. This same wide net, however, is also the greatest challenge of the book, in that it can be hard to maintain interest in the aesthetic, social, and political forces of an overarching republic of taste amid such diverse materials that draw the reader in other directions. Republic of Taste is organized into six content chapters, which Kelly explains can be further understood as three that establish the positive narrative surrounding the conjoined aesthetic and political ideals of the moment, followed by three that focus on aspects of the republic of taste that undermined, if sometimes unwittingly, the republican project. The historical focus of the book falls between 1790 and 1824—the latter date selected because of the return visit of the Marquis de Lafayette to the United States. The ceremonies, celebrations, and self-reflection associated with this visit, approximately thirty-five years after George Washington’s inauguration, give Kelly an endpoint at which to consider the forces of populism and commercialism that she pinpoints as “erod[ing] the republic of taste from within” (244). The first chapter, “Learning Taste,” focuses on the emphasis placed on “the cultivation of sensibility and taste” during schooling, attributing these aspects of the curriculum to a “broad consensus on the public importance” of these subjects (15). The rich materials of this chapter plunge the reader into the debate, content, and methodology of pedagogy in this era. Most interesting to consider is the manner through which elevated ideals and the arguments of British aesthetic theorists became points of factual instruction, memorization, and repetition for students in the context of American academies. This process, Kelly argues, was structured around an understanding that the most important goal was to affirm aesthetics and its significance instead of engaging students with the nuances of larger intellectual debates. Notably, in this chapter Kelly draws on the important Nazareth Hall Collection of school drawings and manuscripts at Winterthur.1 This understudied collection is a significant body of Moravian work, though the role of faith in these educational paradigms is an aspect Kelly does not address. Instead, her focus is, importantly, on women’s education. 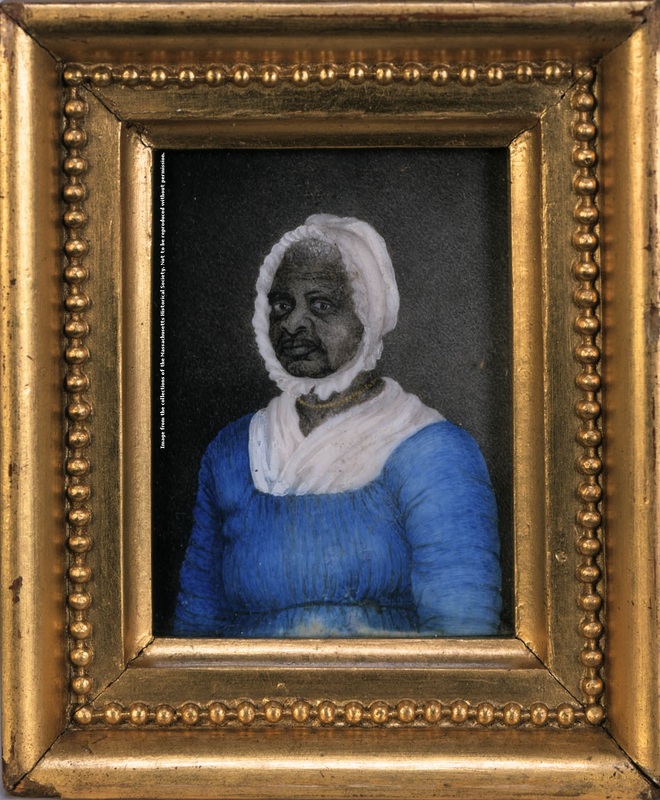 “Picturing Race,” the third chapter, takes on a more constrained topic, as Kelly focuses on two miniatures—Champaign’s unfinished self-portrait (n.d., collection of Ramsay MacMullen) and Susan Anne Livingston Ridley Sedgwick’s portrait of Elizabeth Freeman, an African American woman (fig. 1). Teasing out the contexts of these two works of art allows Kelly to explore ways in which miniatures “worked to visualize and thus enforce a number of social distinctions, especially those predicated on skin color” (94). Through this comparison she seeks to identify the ways in which ideas of race were deepened in private, rather than public, spheres. Ultimately, while she finds Champlain’s self-portrait to be deeply tied to conceptions of whiteness and to complex family affections, she identifies Sedgwick’s portrait of Freeman as “a stunning act of appropriation” that claimed this woman’s likeness for the white family that had benefited from her labor (117). Owning and passing down a portrait of the woman they knew as “Mumbet,” the white family memorialized their long relationship with Freeman. A former slave to a different household, Freeman had sued for her freedom, represented by attorney Theodore Sedgwick. She had then spent a period employed as cook and caretaker in the Sedgwick household, forging a relationship that she maintained long after she worked formally for the family. Sedgwick’s portrait recognizes the affection that the family held for Freeman, but Kelly critiques that it does so without regard for Freeman’s perspective. Doubtless, Freeman was more concerned with bonds of affection to her own children and their descendants, yet it was the Sedgwicks who owned and bequeathed her likeness. Chapter four, “Looking Past Loyalism,” is the first of Kelly’s trio of chapters to consider how this “republic of taste” often undermined, instead of bolstered, republican authority (12). Chapter four, like chapter three, adopts a case study model, with a focus on William Hamilton’s significant Philadelphia estate, The Woodlands. On the one hand, The Woodlands remains a significant landmark site for examining signifiers of taste in the early American republic. As Kelly notes, this famed estate provided many American visitors with the opportunity for “exercising the linked processes of looking, reading, and writing upon which the American republic of taste was grounded” (119). On the other hand, as the property of a lifelong loyalist and Anglophile, The Woodlands offers Kelly a fascinating opportunity to consider the “American republic of taste” as a masquerade of “contingent nationalism” built around a “dialectic of remembering and forgetting upon which the nation depended” (158). This chapter is particularly valuable in considering the complex transatlantic dynamics between British subjects and American citizens during the Early Republic. In chapter five, “Waxing Political,” Kelly considers the challenging role that museums and collections played in contributing to the “American republic of taste,” with a particular interest in weighing the role of waxworks. Here Kelly traces the sociopolitical contributions of wax figures and effigies in the political spheres of Britain and the colonies prior to the revolution, before they gained “new and explicitly republican significance” in the young United States (168). As much as waxworks could mimic the visual pomp and realistic likeness of historical figures, these collections of objects were especially vulnerable to manipulation, whether through the death-like patina of the wax skin or the transgressive potential that could be achieved through the desecration of these wax bodies. This chapter also considers more standard museums—summarizing aspects of the literature on Peale’s museum and offering brief discussions of several other major collections of the period. Ultimately, by revisiting museums as spaces for “political and national imaginaries,” Kelly identifies the slippage between what proprietors might plan for a visitor to see and the fantasies that visitors might construct (194). In the final chapter, “Political Personae,” Kelly examines print representations of George Washington alongside the ceremonial fanfare surrounding his appearances, with the aim of evaluating both how this imagery could be produced to bolster the power of the republic of taste and, contemporaneously, to undermine actual republican values. Kelly pursues the significance of Washington’s likeness as political capital, although—interestingly—the value of this commodity was not controlled by the political elite when produced in print form. In particular, Kelly argues that while Washington was aware of the economic and political potential of his imagery, he did not calculate on “consumer taste and individual desire” that could operate outside of the “strictures of the republic of taste” (234). Through the commodification of competing prints of leaders’ likenesses, Kelly asserts that Washington and other leaders accidentally “encouraged citizens to express patriotism as personal desire” (235). One surprising aspect of the text is that in devising her methodology, Kelly credits the influence of significant work by historians, literary scholars, and the field of American studies more broadly, but she largely seems to have insufficiently utilized the small, but growing, scholarship in the art history of the young United States. Wendy Bellion’s Citizen Spectator, for example, is cited, but it is hardly the rich intellectual counterpoint that might be expected, given Kelly’s closely related topic.3 The important volume Shaping the Body Politic also does not seem to have contributed to Kelly’s development of thinking about the social function of taste in this period.4 Similarly, her discussion of Charles Willson Peale and his museum draws upon a narrow group of sources within the rich Peale literature, privileging the archival volumes and neglecting, for example, the arguments of David Ward’s Charles Willson Peale: Art and Selfhood in the Early Republic and other relatively recent work about the artist that could offer interpretive depth to her discussion.5 Somewhat surprising, as well, is Kelly’s limited engagement with the extensive literature concerning the British republic of letters. Though much of this work precedes the American context chronologically, the extensive interdisciplinary research, concern with the republican context, and numerous available studies of female artists and writers would all have been valuable points of reference for the text. Given the obvious debt of American thinkers to their British counterparts, which Kelly acknowledges and occasionally analyzes, some greater engagement with the transatlantic context could also help clarify what, if anything, is truly American about these aesthetic practices and/or aspirations. To some significant degree, these shortfalls in the bibliography can be explained as the inevitable result of ambitious interdisciplinary research. Nevertheless, to a reader who is a specialist in early American art history/visual/material culture, the Republic of Taste has some obvious gaps in the intellectual company it keeps, and it is worth being aware of these limitations from the outset. Although Kelly is more engaged with powerful currents of aesthetic ideas and market forces, she seeks to shape arguments about the republic of taste that are rooted in the creation of and interaction with visual and material objects and environments. Her study of these objects would be richer and more convincing if placed in intellectual dialogue with these bodies of literature. A reader familiar with the concept of “undeception” at the heart of Bellion’s Citizen-Spectator, for example, might wonder at the concept’s absence from Kelly’s discussion of the aspiring American republic of taste. Did even the “most straightforward ideological messages” of early American museums get “destabilized” due to the “gap between rhetoric and reality” and “market forces” (as asserted by Kelly), or were these moments of slippage associated with citizens’ need for the discriminating vision of “undeception” (193)? Perhaps the answer to such questions is not binary; however, by disengaging from the intellectual depth of early American material culture studies, Kelly’s responses are thinner than they might be. 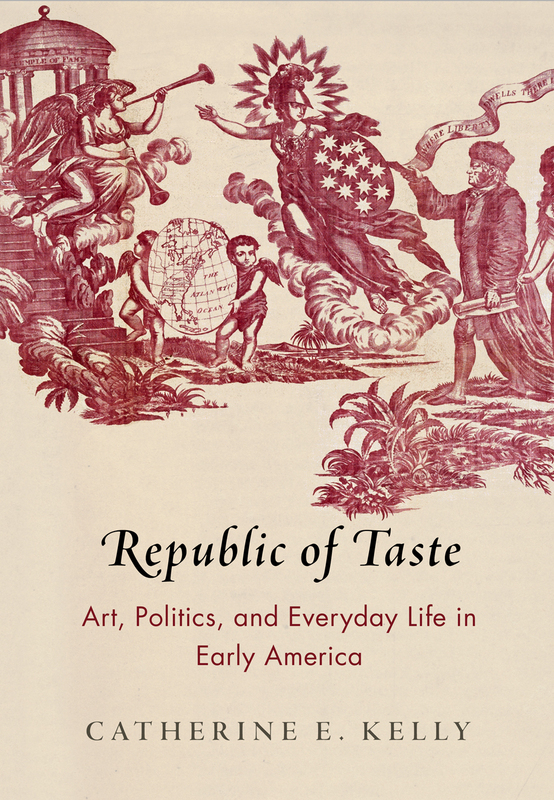 In spite of this, Republic of Taste is a far-reaching book that introduces its readers to a chorus of early American public personae, all passionately engaged with strategies of looking and making the nature of the new nation itself more visible. At the same time, it also explores how the “American republic of taste” failed to actually find realization. Instead, its proponents struggled to balance competing fantasies of identity and politics, alongside difference or continuity with European precedent. The greatest strength of the book for historians of the art and material culture of the early United States lies in its attention to understudied personalities and their associated archival collections. Drawing on objects ranging from published manuals, student drawings, miniatures, and prints to the complex landscape of The Woodlands, Republic of Taste brings together an engaging and intellectually stimulating corpus of materials. Cite this article: Julia A. Sienkewicz, review of Republic of Taste: Art, Politics, and Everyday Life in Early America by Catherine E. Kelly, Panorama: Journal of the Association of Historians of American Art 4, no. 2 (Fall 2018), https://doi.org/10.24926/24716839.1669.